A band that seriously needs to spread their wings and branch out into new territories. Do you ever get that feeling upon hearing a new album that you know exactly what will come next, even though you've never heard the piece of music before,a deja vu type of feeling? 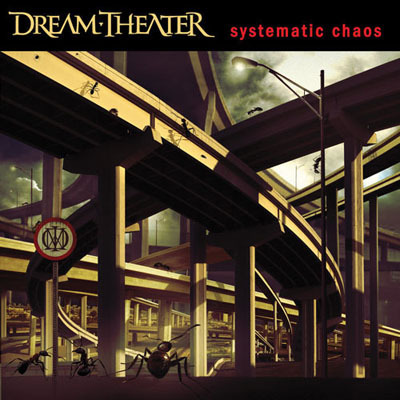 This is how I felt about Dream Theater's latest release, Systematic Chaos. There's little to no variety in it from their previous works of the last 10 years. You could swap the names of the albums from any of them and no one could tell the difference if they were not extremely familiar with the band. As an example, take a track like In the Presence of Enemies, where before having even heard it, I could tell exactly when Petrucci would have a ridiculously out of place solo, how Rudess would follow right after him with another ridiculously out of place keyboard extravaganza, and how there would be a unison after it. The band has become formulaic pop music in this regard, you can predict the poorly designed metal riffs, the speed of light guitar solos, the keyboard coming over the top which has no place being involved to begin with. The idea of progressive, is that you are presented with music which presents you with challenges. The only real challenge hear is keeping up with the number of notes being played, but an experienced listener can keep track rather easily, so there leaves not much meat left, meat being music. The band has always stated they do what they do and don't care, because they enjoy doing it. That's perfectly fine, because I'll enjoy not listening to a rather formulaic and uninteresting album they've produced yet again.